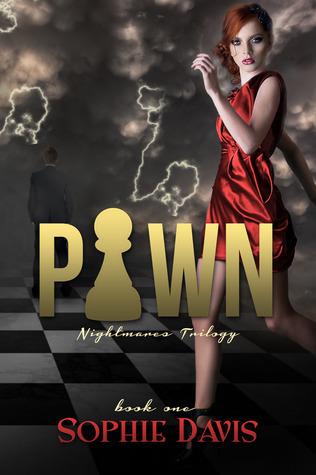 “Pawn” by Sophie Davis is the first in a new series and having read and liked her amazing Talented Series I downloaded this book on the day of its release, eager to see what idea she had come up this time. In “Pawn” the protagonist Endora, or “Eel” turns 18 and at her surprise party (nearly?) drowns and gets rescued by the mysterious Kannon. Her feelings towards her attractive saviour however turn ambiguous when he seems to know things about her she has not told him herself. Unsure whether she can trust him she ceases contact with him. In the meantime however she sees or ‘meets’ him in dreams, all of which seem to have special meaning or a clairvoyant or omniscient character. She finally meets with him and finds out that Kannon and her are not so different and share the same gift or powers. Her exchange with Kannon is romantically charged but also leads her to the investigation of some myths, the nature of which I do not want to reveal here so you can find out yourself without a spoiler. I thoroughly enjoyed this book, it is written in parts for young adults and briefly crosses over into chick lit territory with scenes between Endora’s circle of girlfriends but not in a way that would limit Davis’ story or audience to that market. The central idea behind the story and probably the rest of series to follow very clever, well thought through and engaging and I found myself drawn into the journey of discovery that Endora and Kannon embark upon more than I would have thought. There are additional interests woven into the plot, like some mystery regarding Endora’s father, making this a more dimensional and enjoyable. The writing is tight and smooth and the plot moves along perfectly, never letting me out of its grip. Davis is a talented writer, story teller and entertainer and leaves us with a great set up for the next instalment of this series. Sophie you have written quite a few books in the last few years. Can you tell us a little about the series you have created? My first series, The Talented Saga, is a little like X-Men meets the Bourne Identity. The main character, Talia, is a Mind Manipulator. She loses her parents when she is very young and vows revenge against the person who she thinks is responsible. But along the way she starts to realize that nothing and nobody are quite what and who they seem. The first three books in the series are already out. As long as everything goes as planned, the fourth will be out this summer. The first book, Pawn, in my Nightmares Trilogy just came out last month. This series takes place current day, and my main character, Eel, is a typical teenage girl. At least, she thinks she is until she turns eighteen. That is when she starts to have dreams about things that haven’t happened yet. With the help of her friends and a boy who mysteriously appears, seemingly out of nowhere, she starts to investigate what the dreams really mean and where they come from. I have a new series starting next month, Blind Barriers. This one is harder to explain, but it will be a mystery/thriller. How many books will there be and when will they come out? The Talented Saga will have four full-length novels and two novellas once complete. The Nightmares Trilogy will have three books and at least one novella. Blind Barriers is going to be a serial series. I’m not entirely sure how many there will be once complete, but right now it looks like between six and eight. Each installment will be about 60-80 pages and they will hopefully come out very close together. Tell us about the idea behind Pawn. The idea for Pawn came about when I came across an article about people with electromagnetic sensitivity. I started looking at internet posting boards about people who cannot wear watches. From there I started researching theories behind why some people seem to have trouble electronics. I combined several of the more fantastical ideas to create the backbone for the series. My mother is a Sociology professor and she suggested that I incorporate elements from different mythologies and folklore. Pawn only touches on the mythology, but the subsequent books will have a lot more of it. Do you have websites, blogs and other places where we can follow the progress of these series? My website is http://www.sophiedavisbooks.com, which is also where I keep my blog. Facebook, http://www.facebook/sophiedavisbooks.com, is another good place to find out details regarding when my next book will be released. I try to update both on a regular basis. What made you decide to write in the fantasy / paranormal genre? In my day to day life, I am a Patent Attorney, so I wanted to write something that really gave me a creative outlet. The Talented Saga came about while I was studying for the bar. I really needed a way to unwind, and writing paranormal helped keep me sane! I have an overactive imagination. So, I can see an article or hear a news snippet and the next thing I know I have some idea for a story. Sometimes the stories actually evolve into a real story line. Other times, I start writing and realize I have no idea how the story should end or that the idea makes no sense. I also have a core group of friends that I bounce ideas off of. A lot of times I tell them about an idea and they help me flesh out the details. Talia from the Talented Saga is my favorite character. She is the first character to ever come together. I attempted a couple other novels – still unfinished – before writing Talented, but none of them made much sense. I think I will always have a soft spot for Talia and her journey. Hmmm. That is a tough one. 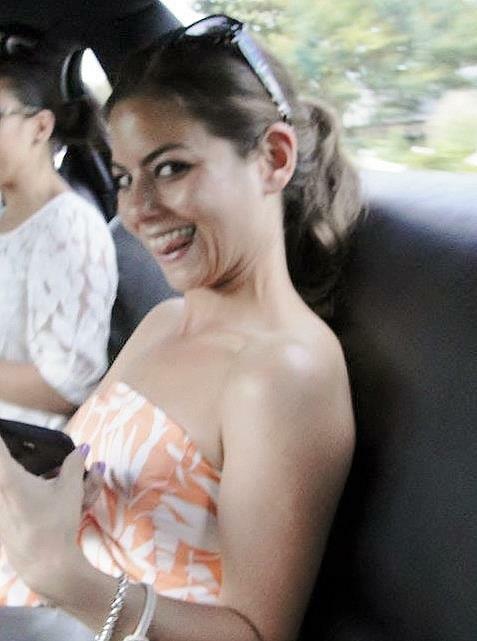 Maybe Lucy Hale? She plays Aria on the Pretty Little Liars TV show. Did you have Hollywood stars or famous people in mind when creating those characters, or yourself and your friends? When I create my characters, I usually have a real person in mind – at first. But as the story evolves, they usually take on a life of their own. The characters in the Nightmares Trilogy all started off based on people I went to high school with. After several rewrites, they definitely took on a life of their own, though. Have you always written or is this a new thing? I have always written. When I was younger, I wrote a lot of poetry. Novels are a newer thing. I sat down and starting writing my first novel about five years ago. The decision to self-publish was actually one I gave very little thought. I had already starting writing Talented and ran the idea by one of my friends. She loved it. And I asked her if she would be interested in helping me with the story ideas and the marketing. She agreed. So, as soon as I had the book finished, we put it up for sale on Amazon and Barnes and Noble. In the beginning, I honestly thought I’d made the wrong decision. I had no idea how to make cover art, or market the books. Not to mention how to find a proofreader! The learning curve was steep. But after a lot of trial and error, and about eight months of floundering around, sales finally started coming in! Since then, I haven’t looked back. I love having complete control over the story, the cover art, the marketing, etc. Between the two of us, we have found a lot of good ways to get the books out there. We have a lot of help coming up with new and innovative ideas for marketing. We still have a lot to learn, but I am having a great time. What is the experience like for you so far – highlights and low points? My parents are definitely my biggest influence. My father has pursued every hobby and dream that he has ever had. He has been a huge supporter of my writing. My mother has always told me that if you want to do something, do it. She is a doer. When I told her I wanted to try to self-publish, she told me to do it, and not just talk about it. I read a lot of Stephen King, Dean Koontz, James Patterson, and Janet Evanovich. Since I have been writing paranormal and YA novels, I have started reading Richelle Mead, Rachel Vincent, and Darynda Jones. Hmmmm. Just one? I am going to say, the first book in the Game of Throne series. Those books are sooooo long, and I have been wanting to read them since all of my friends keep talking about them! My iPod. It is practically attached to my ears. I listen to a lot of books on there, so I don’t think I would get bored for at least a couple of months. Tell us a secret about you, or something obscure? Something obscure? Let’s see….Well, the first “short story” that I wrote was actually about a study aid for my first year law school finals. I was really stressed about finals, so I came up with a story incorporating elements of property law, family law, criminal law, etc. I have a sneaky suspicion that my roommate may have written that story down. Considering that I was suffering from sleep deprivation, the story made little sense and would be embarrassing to read now! I have a big desktop computer that I prefer to write at. I always have a cup of coffee and a cup of water. I can’t stand complete quiet, so I have writing playlists for my series that help me get in the mood. Oh, and I have an extra chair at my desk because my poodle likes to sit in it so she can help. Caged, the second book in the Talented Saga, was actually the first book I ever finished. Once I started writing it took me a little over a year from start to publish. But I’d been working on the idea for about three years before that. In general, each book takes about a year from start to finish, including all the editing and rewrites. How did you edit / quality control? I use beta readers for story continuity and such. Recently I have been testing out proofreaders for help with the final product. I finally found a good one. He has gone back through all of my books and cleaned them up. “Talented” by Sophie Davis is the first in a series. It is set in a futuristic world where due to a series of natural and human disasters a large proportion of “infected” newborns are talented, psychically and telepathically gifted as you will. In this world they are used by an agency to spy and hunt against the enemies confederation. The main character of this book is Natalia, or Tal, who is in a training group with two boys in particular, while having a romance with another. As their agency work leads them to bigger things a love triangle unfolds and Natalia encounters a few surprises and twists along the way. Like most first instalments of a series this book is setting the scene for the next few books and Davis does a great job at establishing her characters. Particularly the second part of the book is very compelling to read and fast paced and the ending keeps us hungry for more. “Caged” by Sophie Davis is the second in her Talented Saga and even better than “Talented”, the first book. Natalia Lyons, recovers from a poison injection that has left her with irregular seizures and bodily weakness. She is one of a group of specially / supernaturally gifted or talented people at the Talented Academy and after recovering from her physical problems she is drawn back into the life at the Academy. Upon her return she has a mission to investigate possible spies for the Coalition, the counter organisation who wants to suppress all talent. Natalia infiltrates the training programme as assistant to check out the people who may have leaked important information to the enemy and soon finds out that there are many candidates. Who can she trust? She is confronted with Donovan, her ex who cheated on her, and she misses Eric, the man she turned down because of lingering feelings for Donovan. What follows is a cleverly written detective like investigation, undercover, with several surprises, secrets and suspects. I enjoyed to see the plot from book one develop, the torn character of Sophie and her indecisiveness, her struggles and her powers. This book is more character than plot driven, which I found a clever choice after Talented. It shows that the author has vision how to develop her series rather than making one book just like the other. This is a fun read that sets the scene nicely for the next part in the series. Aw, thank you Lorna. That is probably because there are a lot of interesting authors out there. SO much talent.